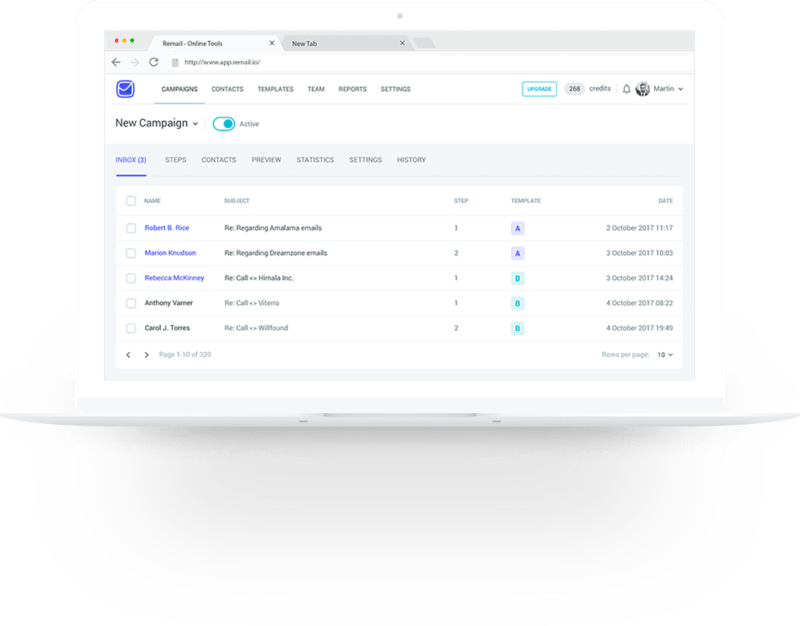 Automate outbound campaigns at scale and provide a better practice to your prospects. Get an opportunity to send a bunch of emails to diverse client lead lists to get a more leads. It’s difficult to get a reply on the mass mailing. But Remail will send personal emails from you, personalizing for each contact. We will help to start and show how to find your best working templates. Start easily and quickly with pre-built templates in the Remail library. and adjust its work up to your needs and enables you to cover as many tasks as you need. Recycle the database periodically, select those who have not responded previously using Remail smart filters, and launch a new campaign. Launch an email campaign in less than 10 minutes. 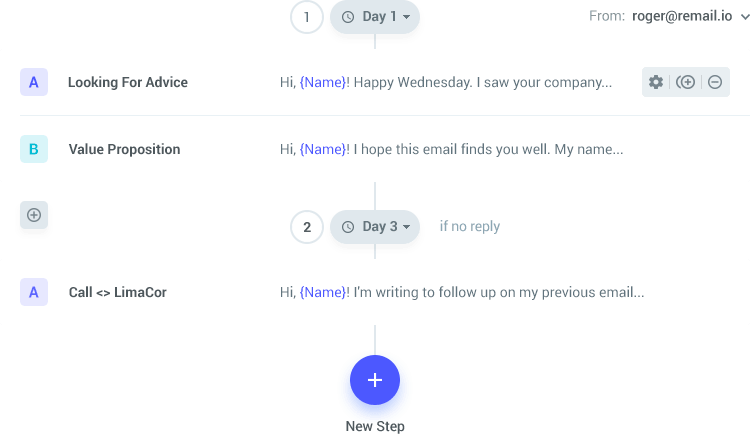 Remail will send follow-ups to those who did not reply, and exclude those who responded. Enable the A/B tests in the Campaigns. Compare and improve subjects, texts and content. Track the effectiveness of the launched campaign. Remail leads to smart & easy selling based on a simple reply to the email. It’s a hacker in email marketing. Unlike email marketing software for mass mailings, Remail sends emails on your behalf. Such emails always come in the Inbox folder and look like written personally to the recipient. 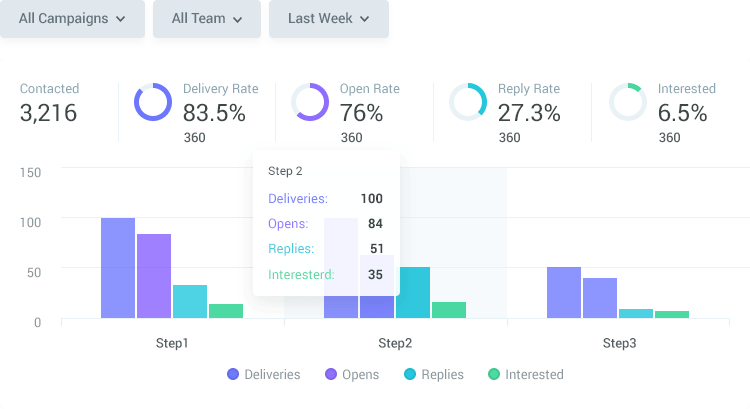 Monitor the team performance and share the valuable information with the members through Remail options. Set up sending emails for your schedule. Specify the time zone and the hours in which you would like to send emails. Remail will remember and send emails according to the settings. Be in touch with the progress of your campaign with detailed info and statistics you are provided by Remail tools. Regular mailings rarely bring answers. But mailings through Remail constantly bring new customers. Many thanks for Remail support. With their help, I've made an effective selling email sequence, which brought me new sales. I was skeptical about the idea of cold emails but decided to try. Now we are using Remail for cross-sales and up-sales.